In early 2016, the four organisations principally responsible for governing professional tennis at the international level – the ATP, the WTA, the ITF, and the Grand Slam Board (collectively, the International Governing Bodies) – appointed an Independent Review Panel (the Panel) to address betting-related and other integrity issues facing the sport. Pursuant to its Terms of Reference, the Panel conducted an Independent Review of Integrity in Tennis (the Review), addressing the nature and extent of the problem over time; the appropriateness and effectiveness of the sport’s historical and present approach to addressing it; and potential changes to improve how the sport tackles it in the future. When the Review was announced, Captivate offered its assistance to the Panel in February 2016. As a result, our Principal Kevin was invited by the Secretariat to the Panel to an interview as part of the consultation process. This interview took place on 06 January 2017. On 25 April 2018, the Panel published it’s Interim Report. In doing so, the Panel regarded it as important that all interested persons should have, and take, the opportunity to provide input on all aspects of the Panel’s interim findings. Therefore, the Panel made the Interim Report available for consultation with interested parties invited to provide comments. These would be fully considered by the Panel before issuing a Final Report, which will contain the Panel’s final conclusions and recommendations. 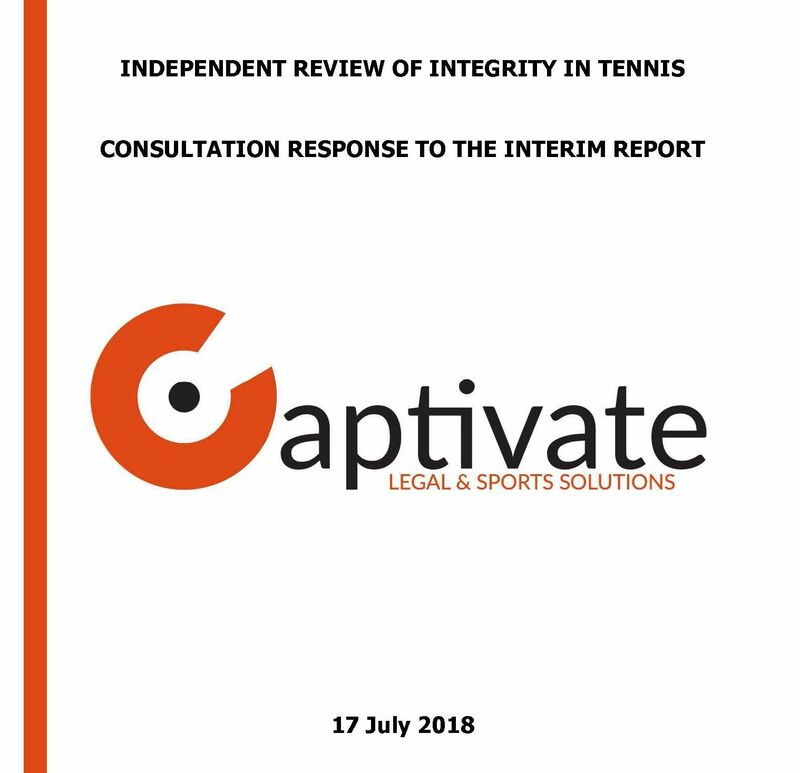 Captivate took up that invitation and we submitted our full consultation response (the Response) to the Panel on Tuesday 17 July 2018 (having kindly been granted extensions to submit by the Panel’s Chair Adam Lewis QC). In the interests of good governance and transparency, we were committed to publishing our Response and invite feedback from other interested stakeholders. To that end, you can obtain a full PDF of our consultation Response here.